You are here: Home / Technology / Apple / iPhone 8 Leaked Fetures: Wireless Charging?!? 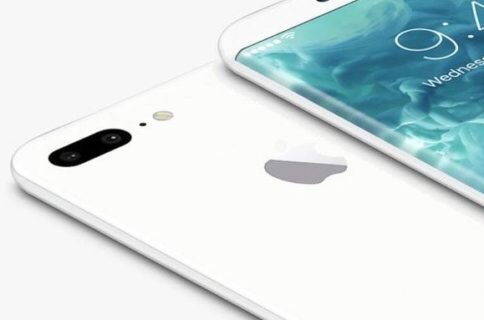 iPhone 8 Leaked Fetures: Wireless Charging?!? Hello new patent filing by Apple indicates that the company is investigating the possibility of one day wirelessly charging devices over a variety of radio frequencies, including cellular (between 700 MHz and 2700 MHz), Wi-Fi (2.4 GHz and 5 GHz), and millimeter wave (between 10 GHz and 400 GHz), as spotted by Apple Insider. The patent, titled “Wireless Charging and Communications Systems With Dual-Frequency Patch Antennas,” details how devices could use beamforming antennas (similar to those used on the company’s existing AirPort Extreme router) to locate where a device is physically located and focus the signal there for improved range and charging speeds. Obviously, it’s worth noting that this is only a patent, not an indication that Apple is actually working on a magical router that can give you gigabit Wi-Fi while simultaneously charging your iPhone from across a room. Still, the idea of doubling up the antennas used for Wi-Fi and cellular data to wirelessly charge devices is a clever one, even if true long distance wireless charging is still a long way away from practical day-to-day use. http://www.itmonkee.com/wp-content/uploads/2017/06/IMG_1368.jpg 320 484 Johnny http://www.itmonkee.com/wp-content/uploads/2016/05/Logo-Icon-with-Text-2000x775-RAW-300x116.png Johnny2017-06-16 21:42:572017-06-17 08:29:36iPhone 8 Leaked Fetures: Wireless Charging?! ?